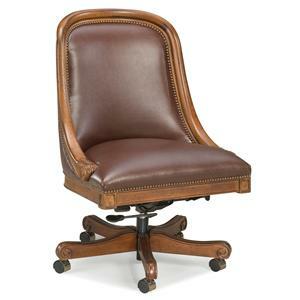 Welcome this swivel office chair to your home office or den. 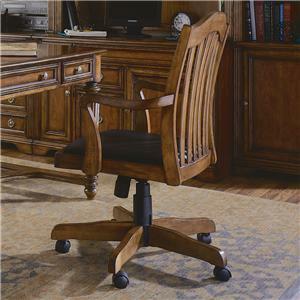 This desk chair features a medium tufted leather back with upholstered seat cushions to ensure comfort and stability while working. 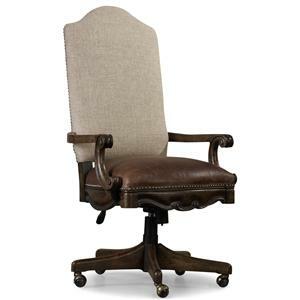 Upholstered arms are also featured for comfortable armrest with carved wood connected to the seat base. 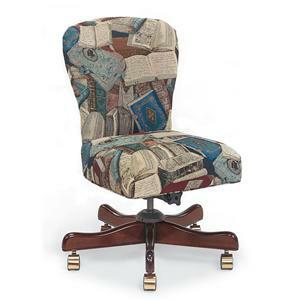 A decorative standard nailhead trim accents the arm rests. 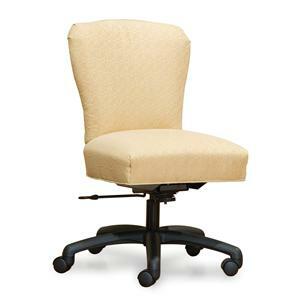 An exposed wood swivel base is featured with silver wheels for easy mobility. 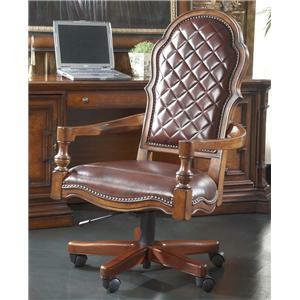 This traditional style will create a stylish look in your home office. 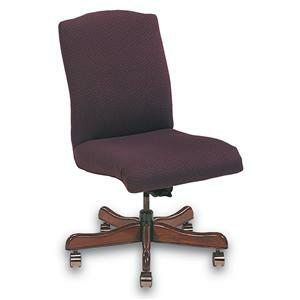 An adjustable seat, 360 degree swivel and gas lift is available with this executive chair. 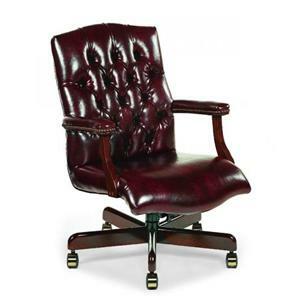 The Office Furnishings Leather Office Swivel Chair by Fairfield at Stuckey Furniture in the Mt. Pleasant and Stuckey, South Carolina area. Product availability may vary. Contact us for the most current availability on this product.